SALEM, Ohio – The U.S. border remains closed to Canadian cattle imports this week despite plans to reopen March 7. USDA’s plans to open the border were foiled by a lawsuit filed by R-CALF USA and a Senate vote last week. Waiting. On March 2, a U.S. District Court judge in Montana granted a preliminary injunction to prevent USDA’s border opening. That gives the court time to hear the R-CALF lawsuit. The group maintains the border should remain closed until USDA strengthens its final rule by more stringently following international scientific guidelines. The final rule currently says imported Canadian cattle are safe and should be slaughtered before they reach 30 months of age. In addition, Canada has been designated a minimal-risk region and poses minimal threat to introducing mad cow to the U.S. herd. Open, closed. 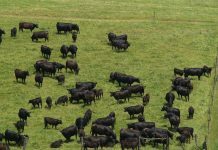 In January, USDA said it would allow imports of live feeder cattle under 30 months of age from Canada and other countries with effective bovine spongiform encephalopathy (BSE) prevention and detection measures. The border has been closed since Canada identified cases of mad cow disease in 2003. Held back. R-CALF filed suit Jan. 10 to block USDA from reopening the Canadian border. R-CALF USA is Ranchers-Cattlemen Action Legal Fund, United Stockgrowers of America, and represents cattlemen from 45 states. A week before the R-CALF case was filed, Canada identified an 8-year-old dairy cow in Alberta as having mad cow disease. The day after the case was filed, Canada identified another case in a 6-year-old beef cow at another Alberta farm. The group said feed bans and monitoring in place in Canada haven’t worked and opening the border exposes the American herd to increased risk. Cebull also said with current testing levels, if Canada shipped 1.7 million head of cattle a year to the U.S., as it did prior to the discovery of BSE in Canada, it is a virtual certainty that cattle infected with BSE would be imported into the U.S.
Viewpoints. Some farm groups support R-CALF’s request. National Farmers Union president Dave Frederickson said in an earlier release the U.S. cattle industry and consumers have too much at stake to rush to re-open the border at this time. Others took the opposite stance. “Science shows the feed ban breaks the cycle of this disease, and U.S. cattlemen must be confident of Canada’s full compliance with its feed ban,” Jan Lyons said earlier. Lyons is past president of National Cattlemen’s Beef Association. 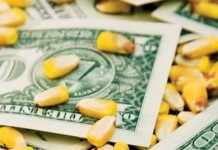 The American Farm Bureau Federation agreed. President Bob Stallman said the Farm Bureau believes the USDA rule is based on sound science and he’s optimistic the issues will be resolved quickly so trade can resume. Some groups feel the lawsuit is merely a smokescreen to protect the domestic market. “The longer groups like R-CALF can keep out Canadian cattle and beef, the higher they can sustain U.S. cattle prices and their own profits,” said Mike Brown, senior vice president of legislative affairs for the American Meat Institute. Another group, National Farmers Organization, feels savvy consumers watching the situation will affect the market in another way. The NFO believes the border issue points to the need for country-of-origin labeling, as well as a national animal ID system. Paul Olson, National Farmers Organization president, said labeling should take place immediately upon opening of the border, to allow consumers to make an educated choice regarding the origination of their beef. In the Senate. Late last week, the Senate passed S.J. Res. 4 with a 52-46 vote to withhold the border’s reopening until the USDA’s proposed rule can be reviewed. “In light of the recent events in Montana, it is difficult to understand why some Senate members felt so compelled to take action … since it is clear that this issue is far from resolved in the courts,” Goodlatte said. More to come. U.S. Agriculture Secretary Mike Johanns has vowed to work with the U.S. House of Representatives to prevent passage of the resolution there. The Bush Administration also opposes the Senate measure and has promised to veto the resolution.